Why is Hot Water Extraction technique the way to go? What is the difference between hot water extraction technique and steam cleaning? How does Hot water extraction technique work? Why should you call professionals and not DIY? Hot Water Extraction is the best, Here’s why? Carpets can transform a drab looking house into a great, cosy home or add to the design of the office. Coming in different shapes, colours, fabrics and textures they are a great addition to the decor of the house. One major downside to Carpets and rugs are that they get covered in stains, dust and dirt rather quickly! Hot Water Extraction is the star! Given that is the second largest investment in most homes/ offices. Carpet and rug owners are always after the best techniques and methods to keep their carpets clean. Adopting the right carpet cleaning techniques not only keeps the carpets clean and stain-free but also increases their longevity. In essence, they are the same process. However, the term slightly misleading as there is little to no “steam” involved in steam cleaning. The term hot water extraction (HWE) is more accurate. In all honesty, it does not matter what the method is being called. There is a reason why every expert in the carpet industry is recommending it. it is by far the safest and best carpet cleaning technique in the market. Trained technicians use high-pressure state of the art truck mounted machines to inject hot water infused with cleaning solution. 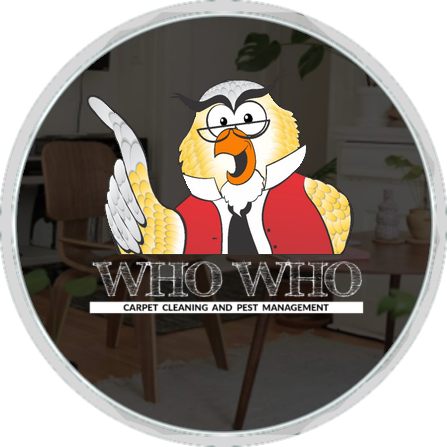 At Who Who, we utilise an environmentally friendly cleaning solution to treat the stained carpets. The sheer pressure of hot water with cleaning solution will remove the deepest rooted stains, grime and dust from your carpet. Additionally, removing dust mites and their waste and removing allergens that are responsible for respiratory issues and various allergies. HWE technique should be done only by trained, certified professionals. 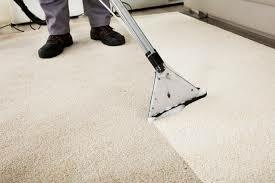 The technicians utilise techniques in order to thoroughly clean the carpets. Amateurs end up using too much cleaning solution, wrong technique or even using too much water. Excess water is your carpet’s worst enemy, damp carpets are the breeding ground for bacteria and they can get mouldy soon. Thus, causing more damage than they started off with. Homeowners and Office spaces usually dread carpet cleaning as they have paused their life for a day or so cause of the area being a no-go zone. Hot water extraction cleaning technique, when done right is touch dry as the technician leaves the premises, ensuring everyone can go about his or her daily routine with little to no inconvenience. Interested in the best cleaning method for your carpets? Call us on 1300 946 946 . 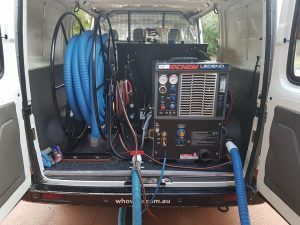 We service all areas across Brisbane, Ipswich, Redlands, Sunshine Coast and Gold Coast at great prices!